Norman Moody Sawyer passed away Thursday, February 1, 2018, in Mesa, Arizona. He is survived by his loving wife of 19 years Alicegean Sawyer, his children, Greg (Martha) Sawyer, Kent (Marianne) Sawyer, Norman Sawyer, Marian Burgess, Eric Sawyer, Aaron (Amanda) Sawyer and Kristen Holley, 14 grandchildren and 15 great-grandchildren, 11 step children and many wonderful step grandchildren and step great-grandchildren. He is also survived by his sisters Nawana (Earl) Wallace, Marilyn (Lloyd) Gilbert and Marlene Landolt. He is preceded in death by wife Eva Sawyer, daughter Karey Rachel Sawyer and sister Yvonne Walker. Norman was born on August 21, 1930 in Lovell, Wyoming. He was in the United States Army from 1947 through 1951, spending 1 year in Korea. 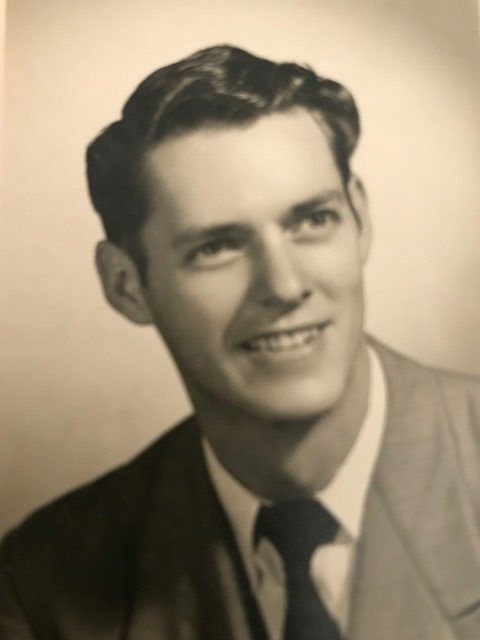 After returning from Korea he served an LDS Mission in Mexico form March 1952 to October 1954. After completing his mission Norman moved to Arizona to attend Arizona State University and received his Master’s Degree in Education in 1966. We would like to thank the wonderful staff at Sage Hospice for the compassionate care he received at the end of his life. Norman was a wonderful husband, father, grandfather, brother and friend. He will be greatly missed. A viewing will be held on Thursday, February 8, 2018 from 6-8 PM at Bunker’s Garden Chapel, 33 N. Centennial Way. Services will be Saturday, February 9, 2018 at 10 AM at The Church of Latter-day Saints, 1852 N. Stapley Dr., Mesa 85203. My condolences to the family and friends for the loss of your loved one, Norman, and may Almighty God comfort you through His written word, the Bible, with these scriptures regarding the future of mankind and the earth, Acts 24:15, Revelation 21:4, 5. My deep condolences to the Sawyer family, I was really touched by the loss of your loved one. When a precious loved one falls asleep in death, it brings to mind God’s precious son Jesus. It is comforting to note how he viewed death. I would like to share it with you from the gift that the Most High God has given to each & everyone of us. His written word the Bible in the Book of John chapter 11 verses 11-14.